Click here to enter Southwest Airlines & Discovery Channel's "Dare to Dive" Sweepstakes to win a trip for two to Guadalupe Island with us. Then be sure to watch "Great White Abyss" beginning July 22nd on the 30th Anniversary of Shark Week to see the Islander in action. 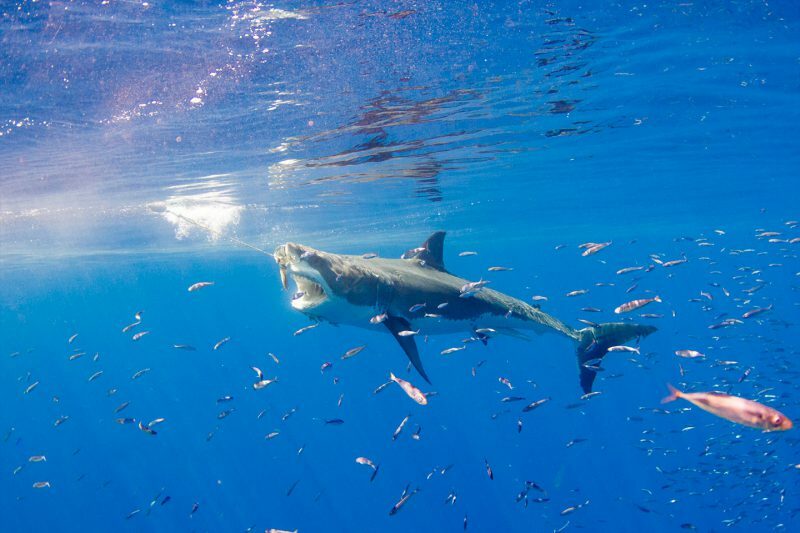 Islander Charters has a 100% success record for viewing Great White Sharks and we have been doing it safely at Guadalupe Island since 2004. We have a 100% success record diving with White Sharks. 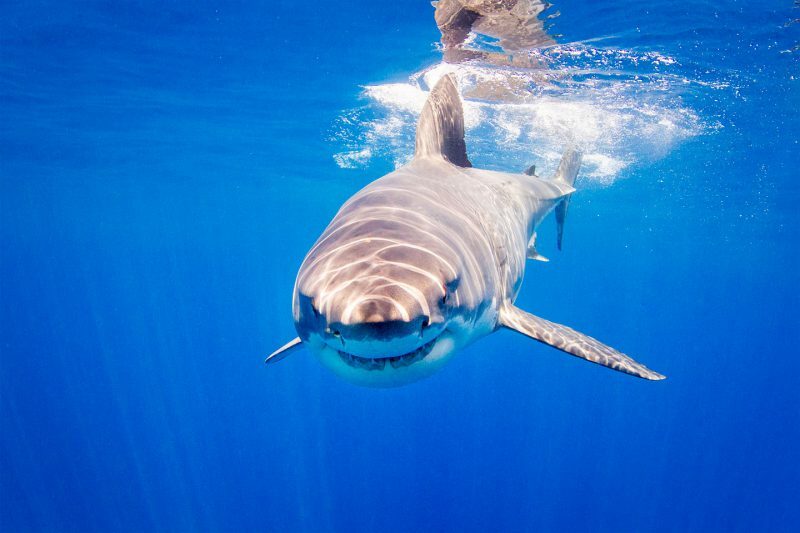 We guarantee you will see Great White Sharks on your trip or you can come again with us for free. A 100% undisputed diving safety record. 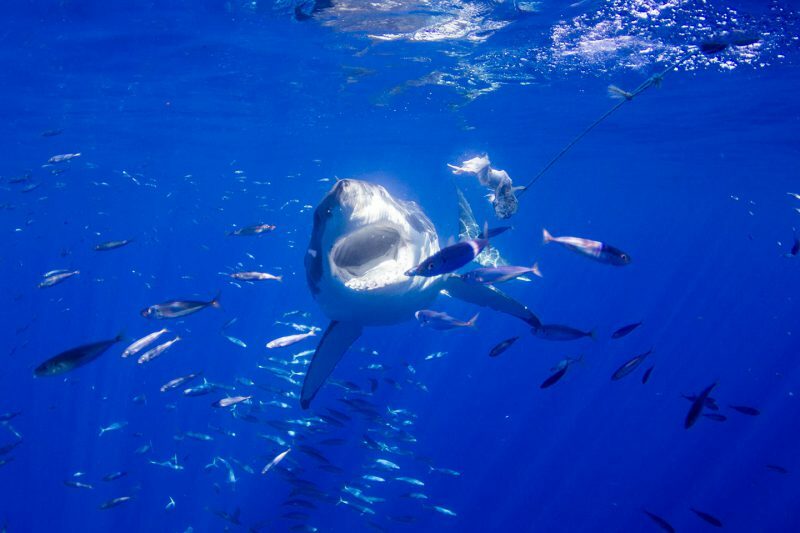 We've had zero cage breaches, accidents or incidents between a shark cage and a Great White Shark at Guadalupe Island. 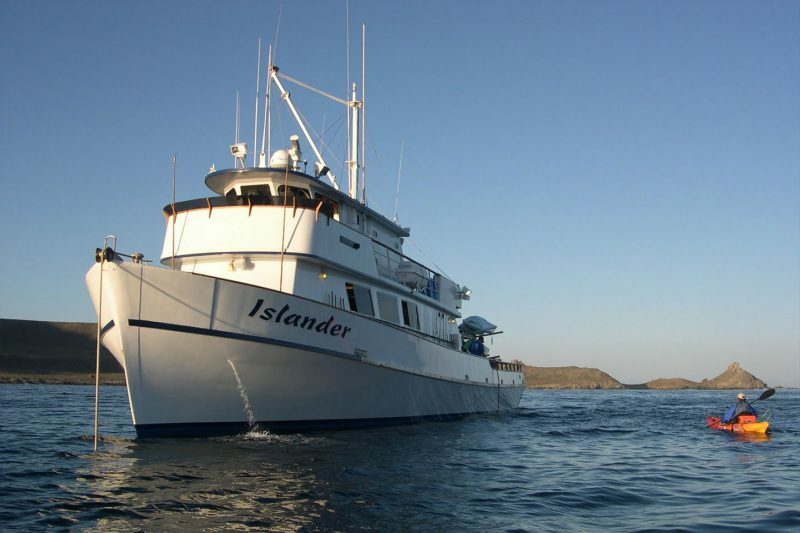 Islander Charters is the only full service White Shark diving company at Guadalupe Island. We own the boat, the shark cages and all the equipment which allows us to guarantee every aspect of your trip. We are the only business shark diving at Guadalupe Island to receive a special recognition award from CONANP in conjunction with SEMARNAT, PROCER, and Reserva de la Biosfera Isla Guadalupe, achieving 100% in all categories. 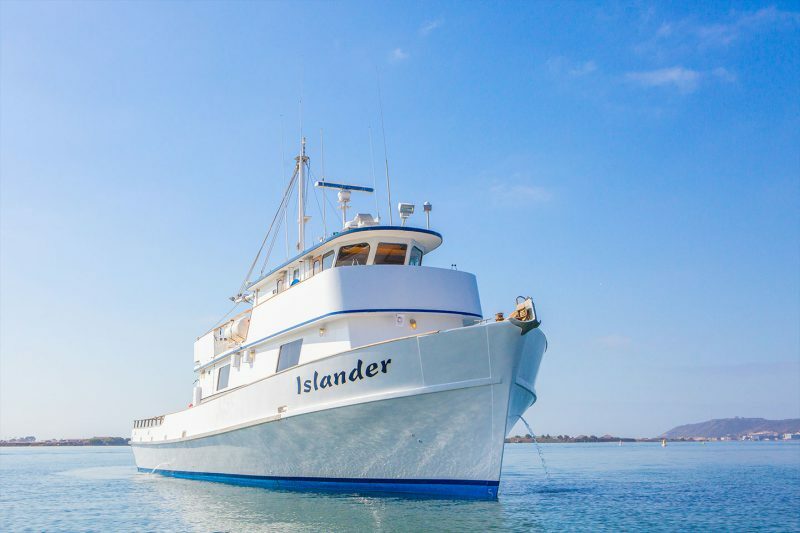 Our vessel, M/V Islander, is fully licensed, annually inspected, certified and safeguarded by the United States Coast Guard. Not only is our U.S. crew the most experienced dive operators at Guadalupe Island, but they are all federally licensed and participate in the U.S. Coast Guard’s random drug testing program. Although our vessel can accommodate up to 33 passengers, we limit our divers to only 16 per trip. We keep our groups small to offer our divers a unique & personal experience. This increases your cage time and allows us to maintain an exceptional crew to diver ratio. Please note: crew gratuity, any satellite phone charges you incur, merchandise, bottled water and premium beer/wine are an additional expense. We take a $750 deposit to book your space aboard a trip with the balance due 45 days prior to departure. Islander Charters has been delivering world class Great White Shark cage dives since 2004. 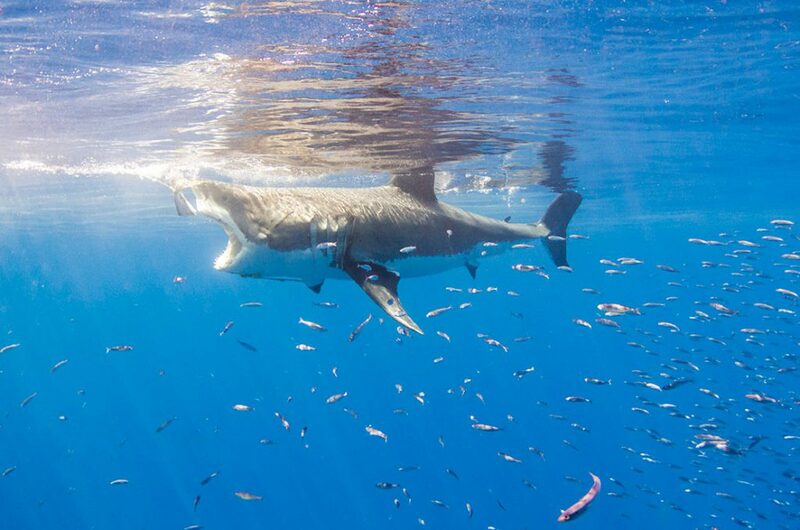 We offer 5 day all-inclusive trips to Guadalupe Island, Mexico – the mecca for Great White Sharks. We are a family owned American company and every trip departs from/returns to San Diego, California. If it's about an upcoming trip, our vessel, or other questions you are contemplating, we would love to hear from you. Islander Charters © 2019. All rights reserved.